It might have been hours since you had a glass of wine or beer with dinner, but if you mention that you’ve had anything to drink recently, the officer might immediately begin a sobriety check. If the officer does want to check your blood alcohol concentration (BAC), do a breathalyzer or blood test only after you’ve been arrested. Do not participate in any sobriety tests like walking a straight line, HGN, or the portable breath test (PBT), which can skew the perception of how intoxicated you might be. You may be confident that you don’t have anything illegal in your vehicle, but you never know what a friend or family member has left behind. In addition, an officer may use anything found in a search against you, so don’t provide the opportunity for this. If the officer wants to search your car, request that he or she get a warrant first. Being pulled over is frustrating and time-consuming, but being snarky to the officer will not rush matters. Avoid asking the officer to hurry up or making any other condescending statements. 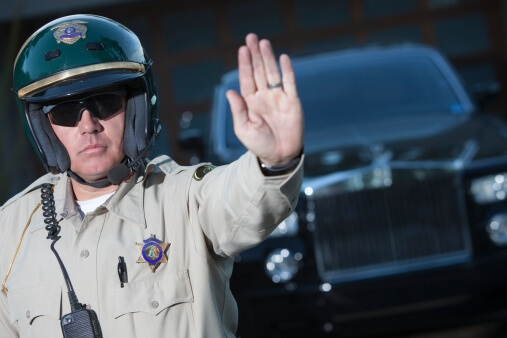 In general, it’s best to say as little as possible whenever you are pulled over for a routine traffic stop, and always be polite. To protect your rights after a traffic stop gone wrong, contact Steven D. West, Attorney at Law. Our Tucson law office provides criminal defense services for DUI, assault, and more, so don’t hesitate to give us a call at (520) 623-4387 to discuss your case.